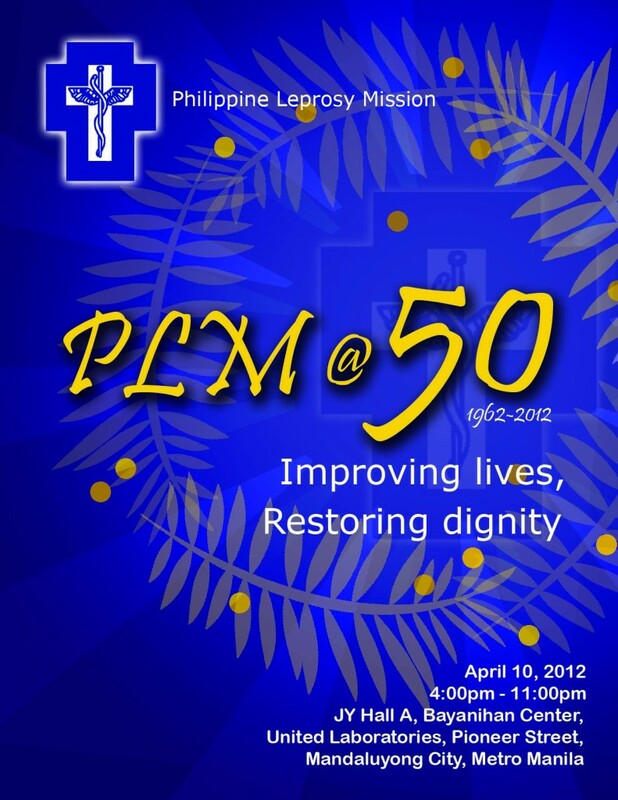 The Philippine Leprosy Mission will be celebrating its 50th anniversary on April 10, 2012. The organization began in the early 1920s as the Philippine Evangelical Leprosy Mission (PELM), a group of missionaries sent to take care of the spiritual and physical needs of Protestant patients in what was then known as the Culion Leper Colony. In 1962, the Philippine Leprosy Mission was registered at the Securities and Exchange Commission and has been a major partner of the Department of Health in leprosy control ever since. A Thanksgiving service and dinner will be held on Tuesday, April 10, 2012 at the Bayanihan Center, United Laboratories compound, Pasig City from 4-11PM. Long-time partners from the Department of Health-National Leprosy Control Program, local government, donors, and the private sector will join in the celebration and take time to look back at PLM’s legacy over the past 50 years as it worked towards the care and rehabilitation of persons affected by leprosy. PLM wishes to thank all our partners and faithful donors for 50 years of fulfilling contributions to the betterment of our fellowmen. May God continue to bless us with your generous support!